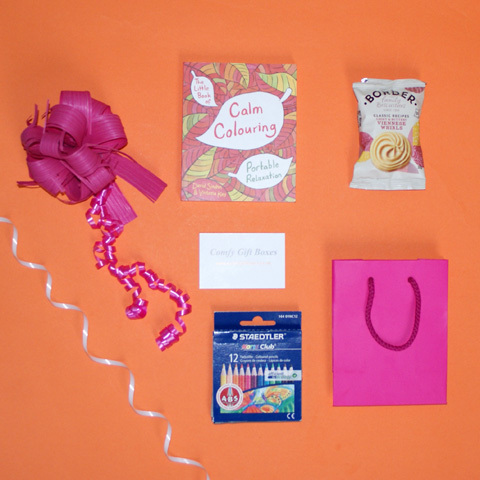 Cheer up a friend, work mate or relative who is unwell, a little bit under the weather, feeling stressed, is in hospital after an operation or who has had an accident by sending a get well gift basket. Please also have a look at our get well gifts for children as these are often sent as a fun get well soon gift to work mates to help make them smile. 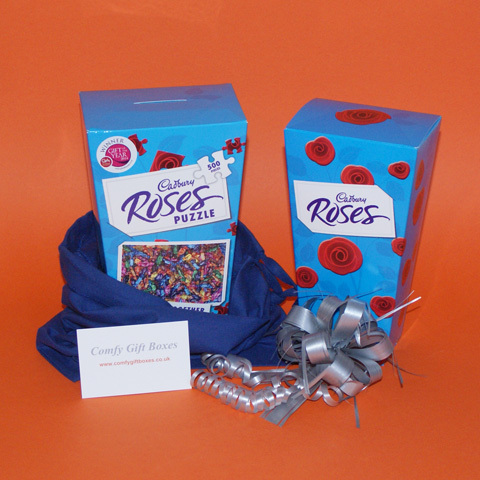 We think our get well soon gift ideas are better than flowers and will help to make someone feel better. 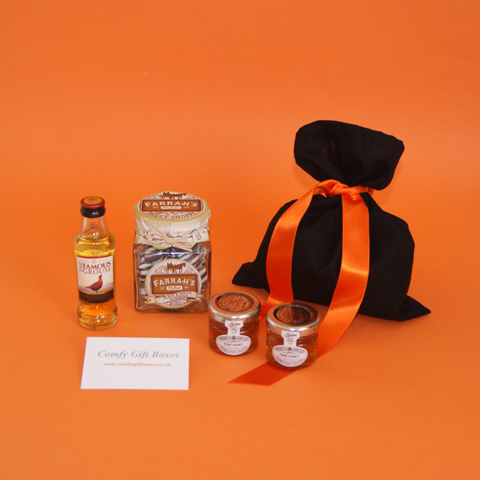 Send a get well hamper to pamper, show you care and help them on the road to recovery. A get well gift idea to help relax and recharge mind and body. A thoughtful little gift for her. Presented in a violet gift hamper tray wrapped with ribbon and an ivory satin bow. 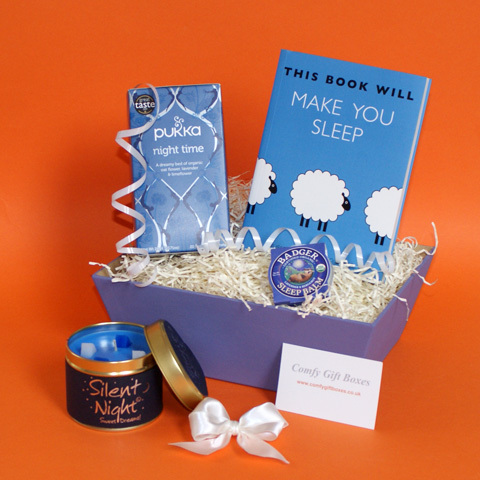 Get a good night's sleep with the help of this get well soon hamper. Presented in a white gloss gift box with lid, pink ribbon and a matching pink bow. The ideal gift for someone recovering from illness, surgery or an accident. Presented in matching individual cotton drawstring bags. 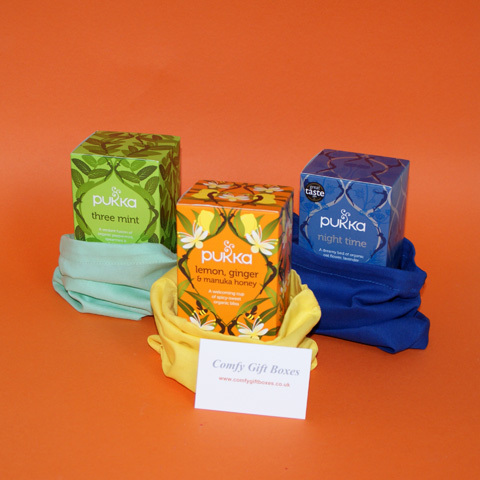 Say 'get well soon' by sending this selection of herbal teas to somone who is feeling a bit poorly. Presented in a white gift box with pink ribbon and a pink gift bag. Add some balance to life with this wellness gift just for her. 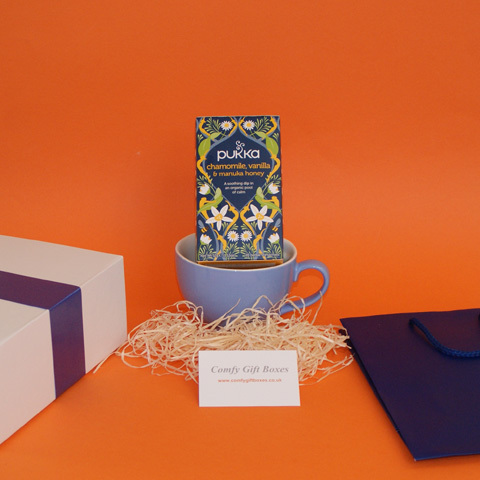 Presented in a white gift box with blue ribbon and a dark blue gift bag. 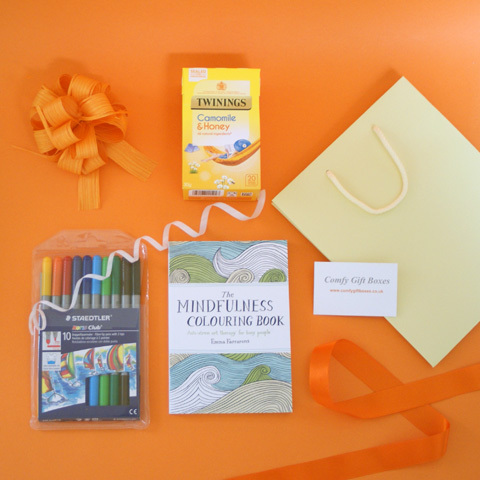 Calm down, ease the stresses and relax with this get well gift. 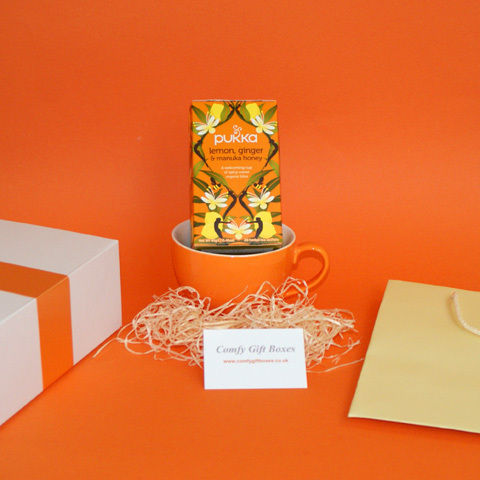 Presented in a white gift box with orange ribbon and a ivory gift bag. For someone who needs a boost - the perfect combination to revive and rejuvenate. 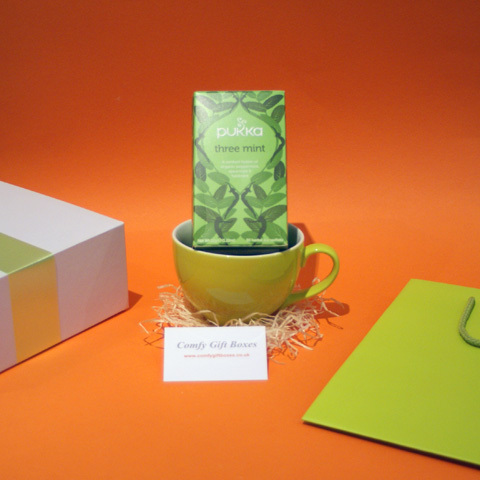 Presented in a white gift box with green ribbon and a green gift bag. 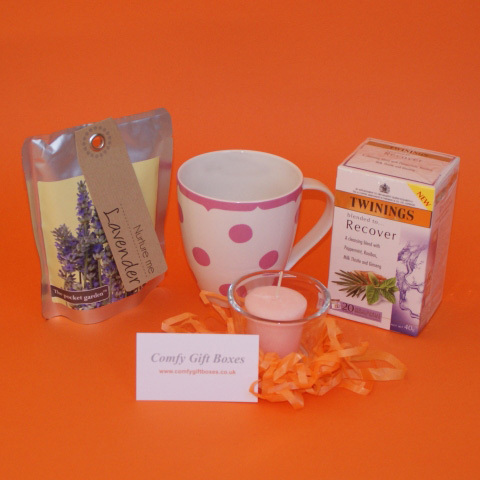 A popular get well gift that can help to relieve the symptoms of colds and flu. Presented in a white gift box with blue ribbon and a light blue gift bag. Over-indulged or in need of a fresh start, this could be just the get well gift they need. 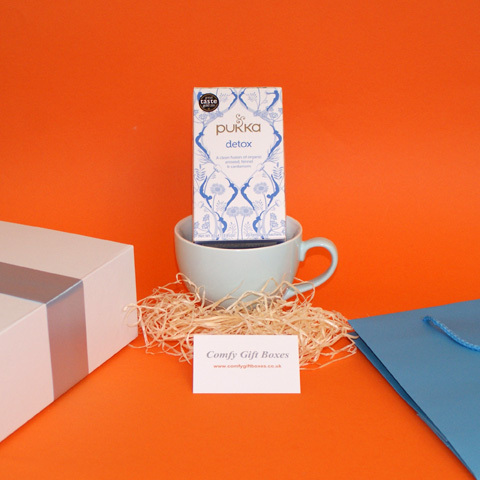 Presented in a white gift box with blue ribbon and a sky blue gift bag. Presented in a white gift box with yellow ribbon and an ivory gift bag. A get well gift idea for someone recovering from an operation or accident. Presented in a black gift box with magnetic lid, gold ribbon and a black spotted bow. If they've got man-flu or just a common cold, this might be the perfect get well soon gift. Presented in a royal blue cotton drawstring bag. Bored in hospital or bored recuperating at home, a jigsaw is a fun get well gift idea. Presented in a bright yellow cotton drawstring bag. Help them pass the time when recuperating from an illness or injury with this jigsaw get well gift. Presented in a bright green gift bag with matching rope handles. 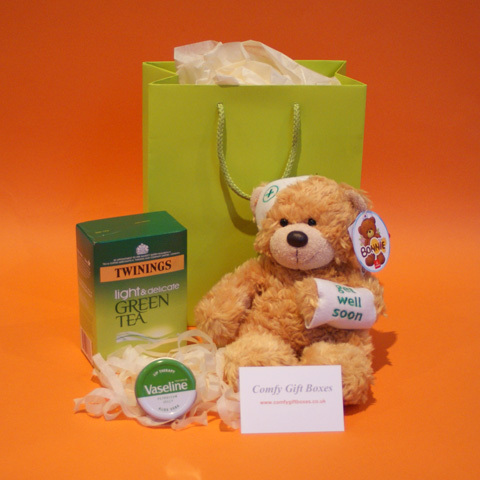 Cheer up a poorly friend with this cuddly teddy bear get well soon gift. Presented in a small white gift box with magnetic lid and bright red ribbon. Looking for a small get well gift? This emergency gift box could be the answer. Presented in a black gift bag with matching black rope handles and orange tissue paper. A useful small get well soon gift bag for him to help pass the time while recovering. Presented in a pink and white polka dot zipped bag with strong pink woven nylon handles. 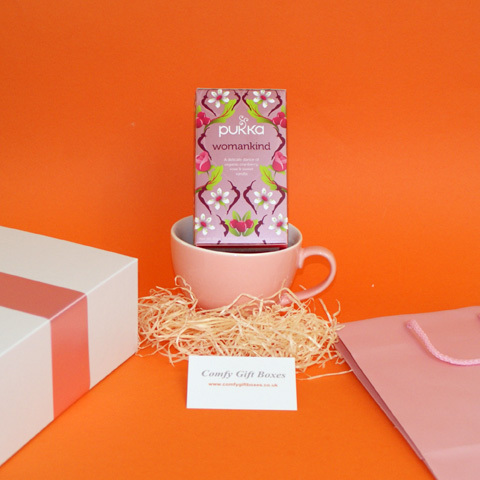 Pretty in pink, this polka dot pamper gift bag makes a lovely 'me time' treat for her. 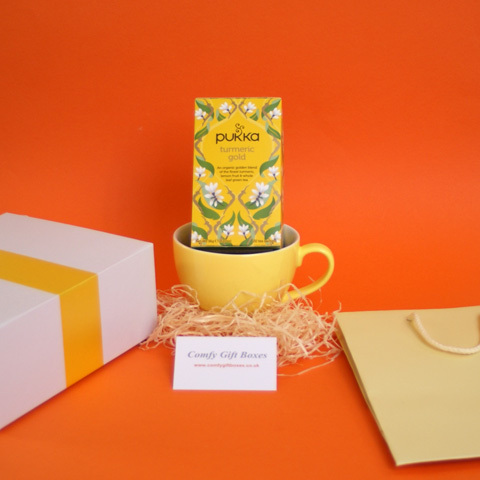 Presented in a black gift box with lid, yellow ribbon and a matching yellow bow. This get well gift for men will show him you are thinking of him and will hopefully speed up his recovery. Presented in a white wicker basket, wrapped in cellophane with pink ribbon and a matching pink bow. Show you are thinking of them and cheer them up by sending this get well gift basket. 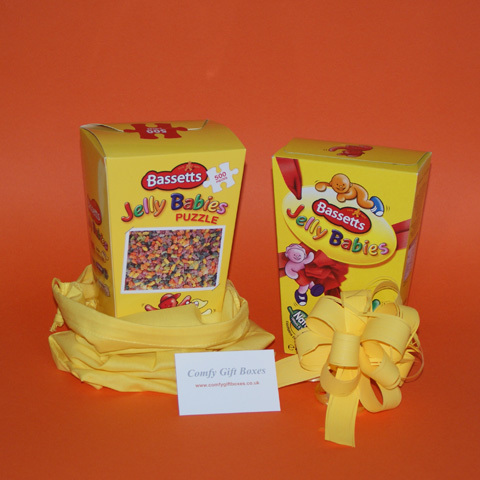 See all Comfy Gift Boxes or why not have a quick look at our get well soon gifts for children too as there are some great get well gift ideas there as well.